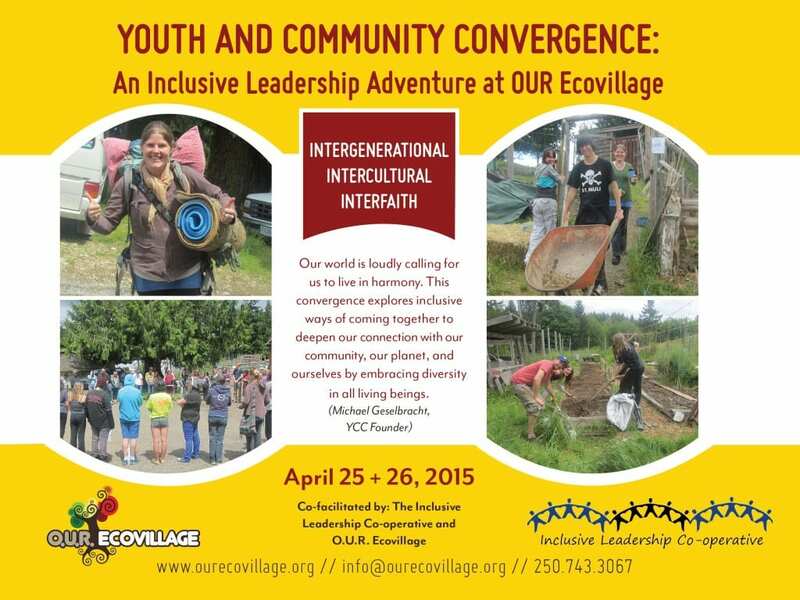 We are thrilled to be hosting OUR 2015 Youth Convergence with co-facilitation by The Inclusive Leadership Co-Operative. This two-day event will be a fantastic interfaith, intergenerational, and intercultural event taking place at our 25 acre natural building, permaculture, and ecological living education site. Join us with a friend or bring your entire high school class; this event has plenty of uplifting, inspirational, and youth-centred programming on the schedule. For: Youth (aged 12 to 30) from diverse backgrounds, Supporters and Mentors of youth, and everyone who cares about youth and adults working together to change the world. • Learn through experiential education: Hands on, creative-arts, and challenge-by-choice workshops indoor and outdoor activities. • An Inclusive Community Celebration . Food: We strive to provide healthy, local, GMO-free and organic meals as much as possible. This year OUR Youth and Community Convergence is happy to be able to support and collaborate with the “Young Adult Quakers with support from Canadian Quakers” as we bring together components of OUR YCC with the YOUTH AND MILITARISM; A Cross Canada Conference. Many activities and workshops will cross pollinate and mutually support the positive community building and leadership environment of this inspirational and inclusive weekend!